The EBA cow family is a new up and coming cow family. This family already transmits huge offspring all over the World! EBA Hanoi VG-87-FR VG-89-MS 2yr. Former top 5 GTPI Female in Europe!! Former #1 GTPI FEMALE IN THE WORLD!! Beautiful Meridian with outcross sire stack! 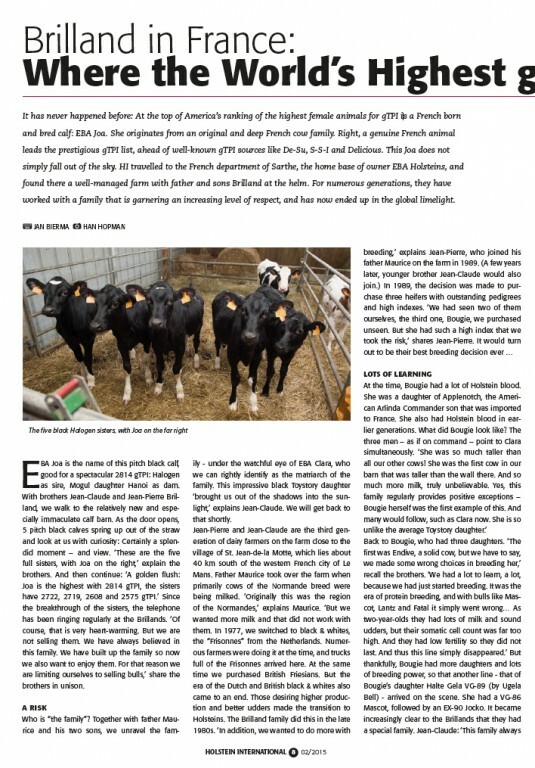 #2 GTPI Cow in Europe! Former top 20 GTPI Cow in Europe! Top 10 PTAT heifer in Europe! Top ranking PTAT heifer >9 Months!! Top ranking GTPI & PTAT Heifer in Europe! Huge PTAT female in Europe! 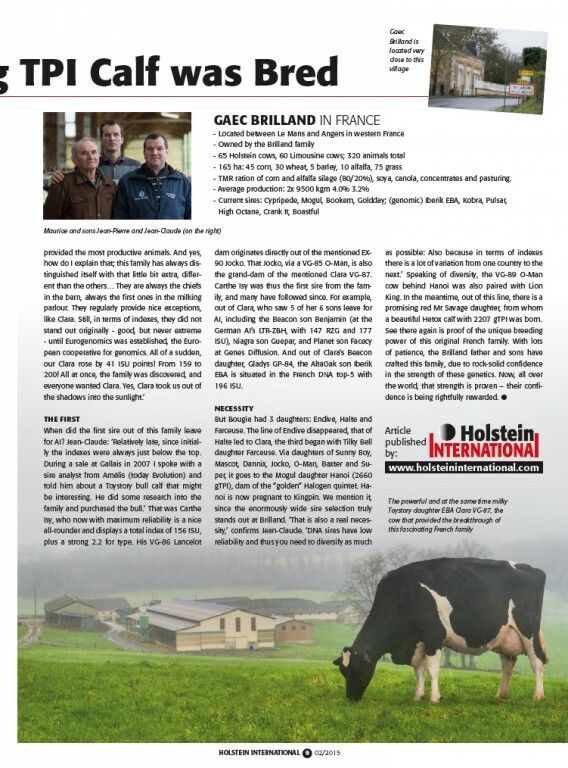 GAEC Brilland / EBA Holsteins is owned by Jean-Paul Brilland and Jean-Claude Brilland. 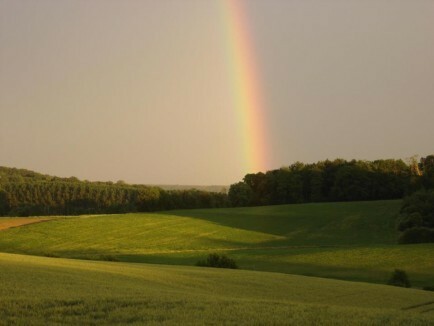 60 dairy cows are housed at the farm between Angers and Le Mans. Beside the milking cows there are around 60 Limousine cows housed. GAEC Brilland / EBA Holsteins broke trough with their great EBA Clara cow family.